Leave your message below for RPCVs who served in Armenia. Dear PC Volunteers and everyone interested in cross- cultural communication!!!!! My name is Christina Voskerchyan, I am the coordinator and initiator of a new project, "Creation of a joint public organization which was initially name "Friendship Club" and later renamed into "International Club of Cross-Cultural Communication" - ICCC. ICCC has wide range of activities and sub-projects. The idea of creating an "INTERNATIONAL CLUB OF CROSS-CULTURAL COMMUNICATION" belongs to a group of Armenian teenagers and young adults, who are students of ICCC Language Center and ICCC Club members, interested in cross-cultural communication and starting dialogue between Armenians and foreign people. To improve competence in dealing with cultural difference through effective cross-cultural communication and thereby minimize distractive conflict among national, ethnic and other cultural groups. One of the ICCC projects is a new TV program, which has been produced recently and is on Armenia Second Channel since Nov 2004. 1. To educate Armenian people on customs, traditions, art and languages of other countries, cultures, nations and ethnic groups. 2. To promote and present art, culture, history of other nations and cultures to Armenian people. 3. To promote and present international/ foreign organizations/ their representative members operating in Armenia, informing Armenian public about the projects and activities of international organizations. 4. Finally, to introduce Armenian history, culture, traditions, customs, and promote Armenian language to Foreigners in Armenia and abroad. The program is conducted in English, in form of interactive interviews with all interested foreigners, International community members, among those, heads and officers of foreign missions, business companies, public organizations or individuals who want to share their experience and impressions about Armenia, Armenian people and Armenian culture in general. I am a RPCV from Kenya (1998-2000) and still work in development. 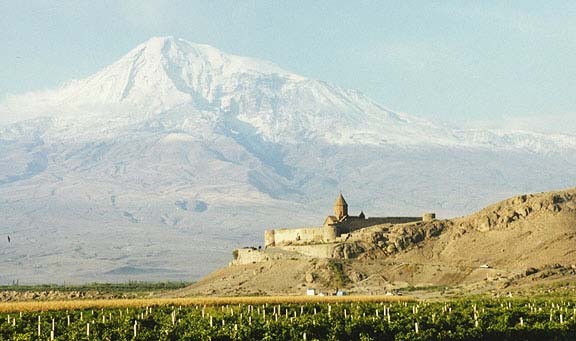 Now working in DC but on a project in Armenia--would like to have an RPCV's insight into culture, etc. so that I am working with my Armenian counterparts effectively. Please contact me at clberna@mac.com if you wouldn't mind talking with me. Am also working in Azerbaijan and Georgia. Thanks. The mission of our org.is: Collection of used and surplus of new books from donor organizations, companies, individuals, ect. and ship the collected BOOKS to interested countries with the cooperation of the local Non-profit organizations for the purpose of creating Specialized English Language Libraris, to Promote north-american educational system...the cultural values, traditions for the nobel purpose of mutual understanding and last but ot the least for �Enrich a mind, Improve a life�. My request is to be informed: Is the Country Director of the Corps in Armenia interested to cooperate with us to create - establish Specialized English Language Libraries in Armenia. Now we have approximatly 100.000 (hundred thousand) books avilable to be shiped.